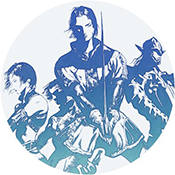 Tex Hammer is a mod maker's tool for changing textures within Final Fantasy XI. 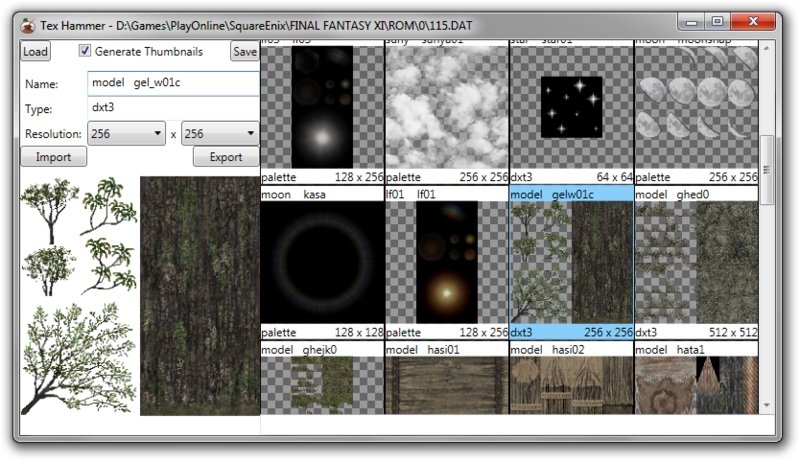 Primarily aimed at making HD mods, Tex Hammer allows you to change the resolution of the game's various texture types with simple drag-and-drop functionality. It will also handle import and exporting. If you were familiar with TexTool, this is a more fully featured version of that. When importing a bump map, Tex Hammer will scan the file to see if the RGB channels are identical. If they are (or if it is a grey-scale image), it'll import the file as-is. If the RGB channels are NOT identical, it will convert the image into a grey-scale image and limit the range to #b5b5b5 to #fefefe (which is the range XI's original bump maps appear limited to).